Karachi Halls is the biggest online portal of Wedding Reception venues in Karachi. It covers all the factors that lead to a perfect wedding arrangement. The Karachi Halls team continuously gathers the stats and public feedback regarding each and every single hall of Karachi and on the basis of those first hand stats and figures we evaluate the list of Top Lawns of Karachi for the visitors. Lets suppose, you have got a wedding invitation of some XYZ Lawn situated in XYZ area of Karachi which you have never heard before. You will then just have to type in the name of that hall in our custom search area and you will be able to access every information regarding that hall including its directions from your home along with the commute time. If you are confused about the selection of your event’s reception, you can easily do it using our search featured and we will find a perfect hall nearest to you. Our blog keeps you connected about the latest trends, events and happenings around the world related to the wedding receptions. 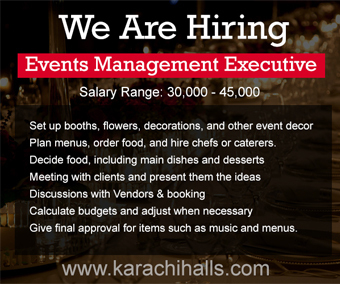 Team KH have a wide list of vendors which will help you to organize an event like never before. From catering to rent a car, bridal dresses to Photographers, card publishers to decoration and security etc. 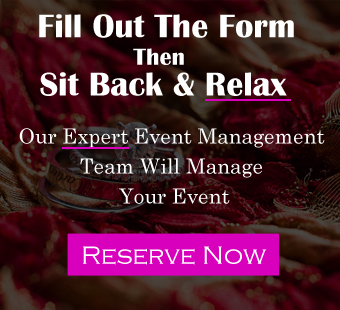 If you want us to organize your event just fill out the form, then sit back and relax because our representatives will take care of the rest.